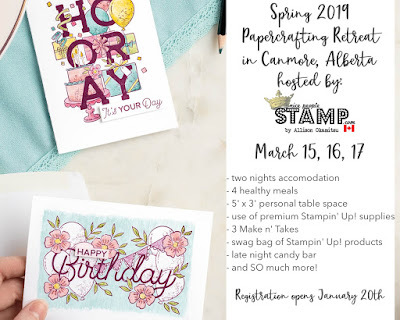 nice people STAMP retreats are hosted by Calgary based Stampin' Up! Demonstrator, Allison Okamitsu. 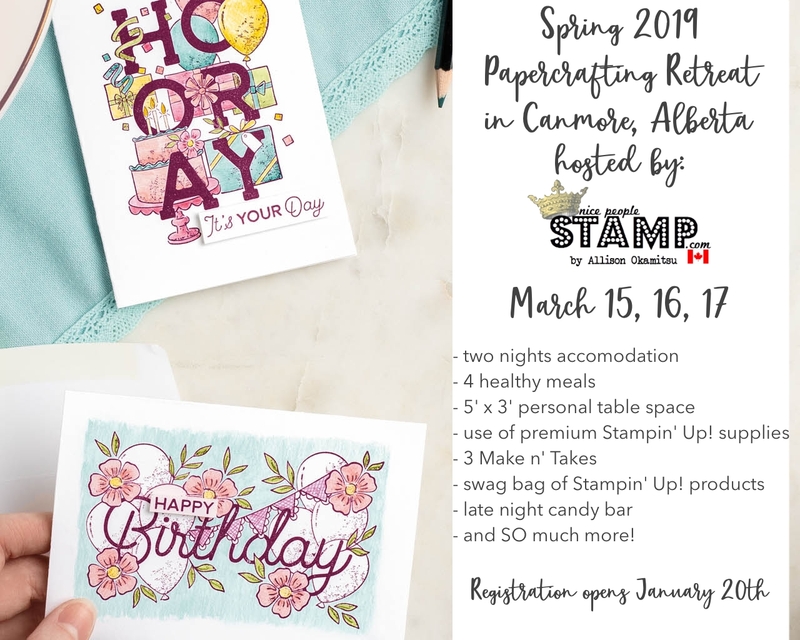 With a fun paper crafting retreat twice a year - one in the spring and one in the fall - these are events you won't want to miss! Whether you are an avid cardmaker, savvy scrapbooker, mixed media artist, or anything in between, you'll be happy you joined us! Please use the navigation bar at the top of this page to find all the information about the Spring 2019 Retreat in Canmore, AB.